When individuals get together to drink yerba mate something special happens. It’s a daily and unassuming event yet it represents a different approach to life. 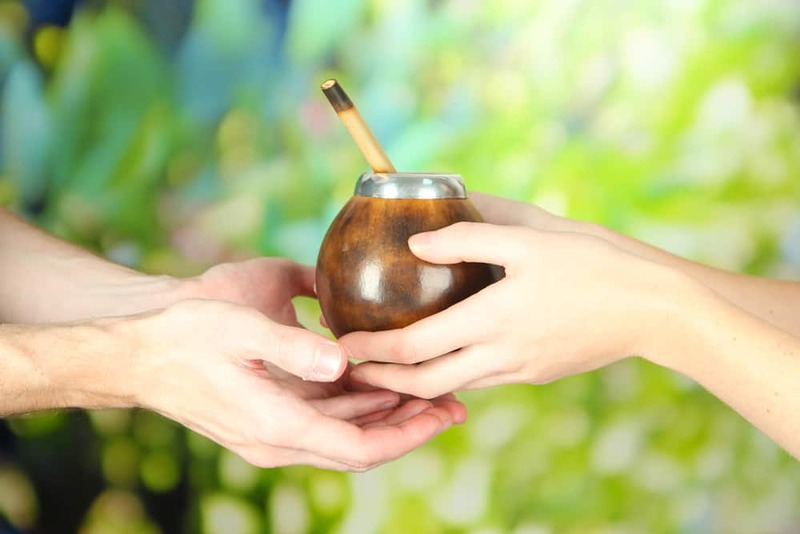 The yerba mate ceremony is an ideal time for setting aside the urgencies of life and catching up with friends and family. It’s a time for appreciating the meaningful relationships in one’s life. In the Argentine country side, the gauchos would sit together around their campfire, sipping the yerba mate bombilla, sharing their yerba mate after a long day’s hard work, confiding in one another and sharing the day’s events. The yerba mate ritual closely resembles that of the American Indian’s Peace Pipe ceremony. As in the yerba mate ritual, the peace pipe too, is passed around the group for all to share. Similarly, to the yerba mate gourd, the peace pipe also represents friendship and community. Yerba mate is drunk by most in certain parts of South America such as Argentina, Uruguay, Paraguay and Brazil. It is shared across classes; businessmen during meetings, truck drivers and their assistants traveling along their delivery route , college students while studying together, housewives when getting together with friends. Simply put, the yerba mate ritual is a great reason for friends to get together and enjoy each other’s company. Now that you are familiar with the yerba mate ritual learn more about the history of yerba mate.